After a lengthy break from the bush it is wonderful to be back. I have returned to a very different landscape having missed the monumental floods nearly two weeks ago. I drove around yesterday and am simply amazed by how the area along the river has changed so dramatically. Over the next few days whilst out on drive I will try capture some images that will show the full extent of the floods. I do not view it as damage but rather as change. 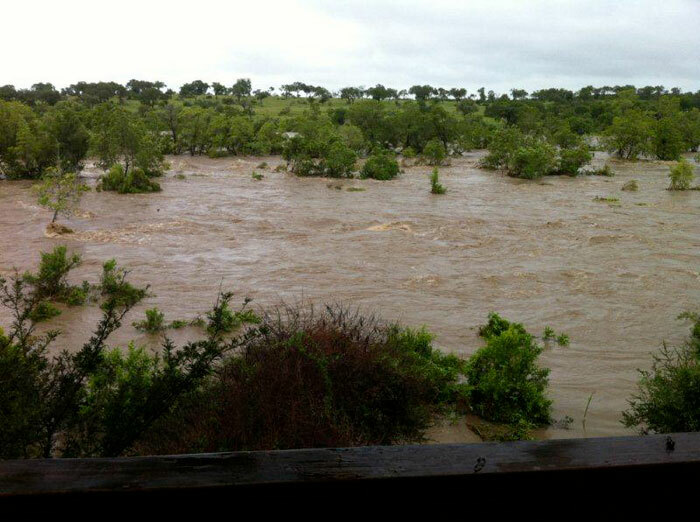 View from the Varty Camp Deck during the flood. On arrival back at camp I too, like many of you, was salivating to hear how the lions have shaped up since the mayhem. Below is a very brief summary that I have been able to gleam from the rangers who have been here over the last three weeks. The day prior to the floods the two Tsalala Sisters were seen on a wildebeest kill near Fluffies Pan. The next day the river came day in flood. Tracks of the two females headed down to the Causeway but they were not able to cross so they returned back to the wildebeest kill-site. The next day there were tracks of the Sisters again heading to the river. It was obvious that they were trying to cross the raging torrent. They managed to do so near to Plaque Rock. The worry is that when the pride was seen again it was only the two Sisters, the eight month old cub and two of the one year youngsters. This meant that two of the older youngsters were not with the pride. Twelve days later and this is still the case. Whilst the possibility does exist that they were washed away by the floods we are all holding thumbs that this is not the case and that they will rejoin at some stage. We will keep you posted! An update from reserves north of us suggests that the Original Tailless Female is fine and with three of the sub-adults from the Breakaway Tsalalas. We have not yet been able to cross north over the Sand River since the floods, as all three crossing points were washed away and are temporarily unusable. There is thus a lot we do not know at this time. The Rangers have been seeing this pride along our eastern boundary in the area around Gert’s Clearing and Tamboti Donga. Apparently we have mainly been seeing the mother lioness with the two four month old youngsters. There have been no sightings of the lioness with the three tiny cubs that were born around Christmas time but reports from our eastern neighbours suggest that these lions are still in good shape. The three remaining females from the pride are being seen intermitantly by the team. From the sounds of things it has been fascinating over the last two weeks with all three big coalitions being seen; that being the four Majingilane, three Mapogo and the four South Pride males. It sounds as though the area in the south west of Sparta/Londolozi around our Repeater Station has been the scene of much of this activity. In my opinion this has, for a long time, been a very vague boundary between the three male groupings. No actual encounters have been observed. Of late the Majingilanes have apparently been spending lots of time together as a complete unit of four. They are exceptionally vocal at the moment which again suggests that there may be some territory clashes in the pipeline, if they have not already happened. I hope that that will serve for the time being to quench all your thirsts. I can reassure you that once I am back out in the bush I will continue with more comprehensive updates. 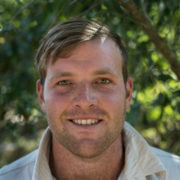 I have been worrying about all things alive at Londolozi! Thank you for your report and I look forward to hearing more. The strong do survive!! Cheers! It’s feeling like a clash with males is getting closer. Wow. Unbelievable flooding. Thanks for the update Adam and I sure hope I get to see you in June! Lovely image of the two males walking across the water. Thanks for the update. 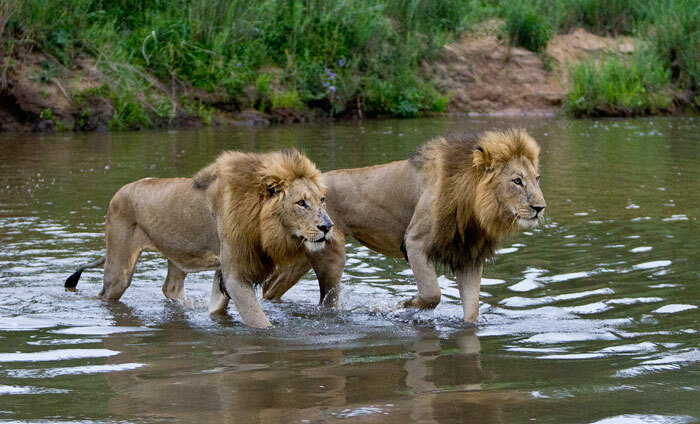 Hoping the Tsalala youngsters are ok.
Great shot of the brothers crossing the river Adam, welcome back, as Penny said everything is crossed for the safety of the cubs. 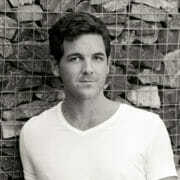 Is Talented Talley on leave, Friday was not the same this week (I wonder if Blog addiction is a recognized condition)!!! 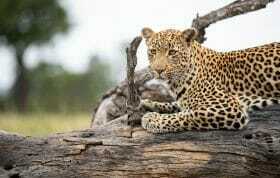 Hi there I have been reading your blogs and sightings of animals for a couple of days now. Very interesting…. Have a trip coming up in March and wanted to ask your opinion of taking a antimalarial drug while staying at your reserve. At that particular time of the month is the mosquito issue more or less. I ask, as I have a hard time taking any type of a prescribed prophylactic medication. I want to enjoy the beauty of your reserve and lodge while I’m there. I hope the waters have returned to normal and not too much damage was done. Beautiful pictures of the lions. Hi Joanna, looking forward to seeing you here in March. Londolozi is situated in a malaria area and thus we cannot tell you that it will be alright to not take an antimalarial prophylactic. Although many visitors do not take prophylactics, the risk is still existent and thus it would be best to take consultation from your regular GP or Doctor. The waters have indeed subsided and we have had blue skies since the rain. The bush veld is looking absolutely outstanding! Travel safely and I look forward to seeing you more on the blog until your trip. Glad Mother Nature has calmed down. Just found out we are returning to Londolozi in March 2013! Can’t wait to be back with furry friends. We were being booked into londolozi for march, but have heard there is damage in some of the camps and now londolozi might not take us. Please let me know how to fix this!